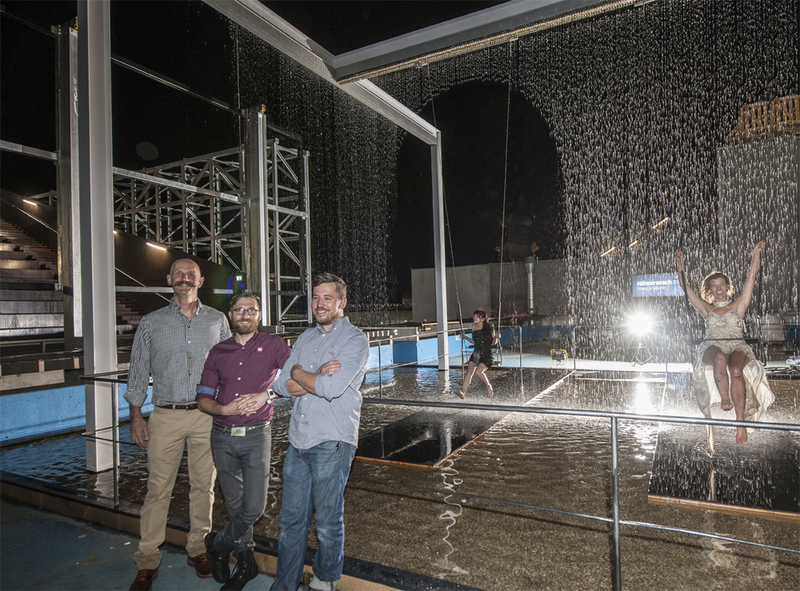 The first four person version of the Waterfall Swing is now open for Sydney Festival at Darling Harbour 9AM - 9PM through January 24. 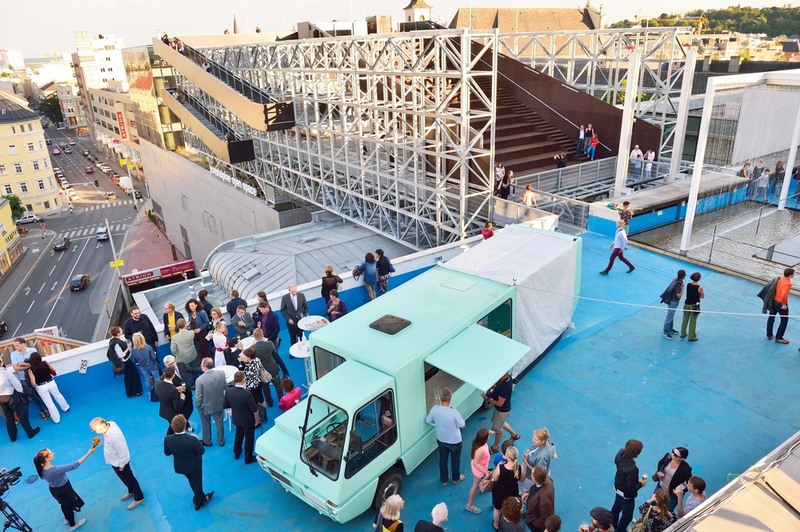 The latest version of the Waterfall Swing left the Red Hook neighborhood of Brooklyn in a shipping container headed across the oceans to Australia for Sydney Festival 2015. We're heading to Australia for Sydney Festival January 8 - 24, 2015! A new installation of the Waterfall Swing opened June 26 at the OK Center for Contemporary Art as part of the Höhernrausch 2014 exhibit. Russell Vargo filmed the Waterfall Swing at Brooklyn Fire Proof while visiting Bushwick. Mike and Drew pose with Japanese comedy team for a filming of an episode of World Full at Brooklyn Fire Proof in Bushwick. 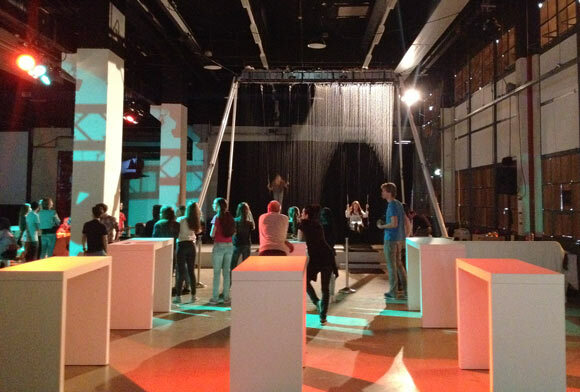 The Waterfall Swing travels to the europe for the STRP Biennial in Eindhoven, the Netherlands. The Waterfall Swing is featured in this Honda ad that debuted during the 2013 Rose Bowl. Riders at the World Maker Faire at the New York Hall of Science in Queens, NY. Video shot by Andrew Ratcliff. Water writing at the World Maker Faire at the New York Hall of Science in Queens, NY. Testing an early version of the Waterfall Swing.